It is hard to believe that Thanksgiving is already next week. With that being said it is only fitting that we post our holiday schedule. 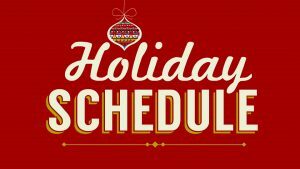 On the days we are closed we will have on-call personnel available in the event of emergencies, and we will also post reminders of the schedule as the holidays get closer. Cyber Tech Cafe would like to wish you a blessed holiday season and thank you for your business! Closed Thursday, 22 November and Friday, 23 November. Returning to normal business hours on Monday, 26 November. Closed Monday, 24 December and Tuesday, 25 December. Returning to normal business hours on Wednesday, 26 December. Closed Tuesday, 1 January. Returning to normal business hours on Wednesday, 2 January.